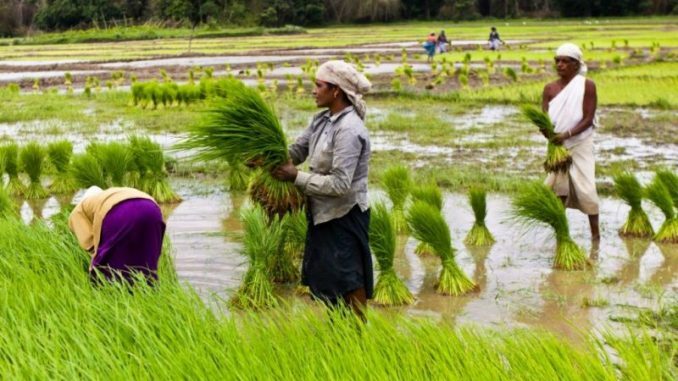 KOZHIKODE: Kerala has submitted to the Centre a comprehensive action plan to double farmers’ income by March 2022. It was prepared by a state coordination committee comprising heads of agriculture and allied departments and central and stateinstitutions. The report, submitted to the Indian Council of Agriculture Research (ICAR), says that while the average net income of an agricultural household in Kerala is relatively higher at Rs 11,888 when comparedtothe allIndia figure of Rs 6,426 (NSSO 70th Round, 2012-13), net receipt from agriculture and allied activitiesis much lower at Rs4,106. ICAR had constituted state coordination committees (SCCs) tochalkoutstrategies for realizing the central government vision of doubling farmer income by 2022 when the country celebrates 75 years of Independence. The SCC of Kerala was headedby Teeka Ram Meena, principal secretary, agriculture department in his earlier capacity as vicechancellor (in charge) of KAU and comprised VCs of KUFOS and KVASU and directors of various state departments and central institutions situated in thestate. The statehas optedfor state-specific agro- eco- sub-region wise strategies for meeting the goal due to wide variations in its agro-ecosystems, including soil quality, climate and social situations. The report says that as per the estimates of the state planning board, the present growth rate of agriculture is about -2% leading to continuous increase of non-farmed area. It says that the share of agriculture and alliedsectors in GDP decreased from 35% in 1980, to about14% in 2016. The report lists fragmentation and increasing share of marginal farms, higher wage rates, low orientation towards food crops and lack of regulation and poor investment in agricultural marketing as the main constraintsin thestate’s agriculture sector. The report has presented 16 promising technology interventions and proven farm practices along with their economics and financial returns which has the potential toenhancefarmer incomes. The farm practices and technologies suggested include rice-based integrated farming system, homesteadbased integrated farming system with a combination of annuals, perennials, fodder and livestock which could give a net income of Rs 40,807 from 0.4 hectares of land, open precision farming in high density banana cultivation which can yield net returnof Rs31,000from 25cents of land, rice- fish- duck- buffalo-integration in wetlands and coastal ricelandssuch as Kuttanad and Kole and Pokkali land which can yield net income of Rs 3.49 lakh per hectare, diversifieddairy farming, open sea cage culture of fin fish which could yield neteconomic return per crop ranging from Rs1.5 lakhtoRs 4lakh. Also suggested are seed production technology for commercially important marine fin fish and ornamental fish, high density culture of mullet in brackish water ponds and cage fin fish culture in Pokkaly fields. Among the policy prescriptions are setting up separate wing/department for strengthening agriculture marketing, promotion of contract farming and farmers markets for prospective crops, setting up of price stabilization fund, operationalizing of Kerala Land Licencing (Right to user) Bill for better land utilization for agriculture which would enable workable frameworks for licensing leasing for agricultural activities. Teeka Ram Meena said that the strategies have been presented to the Centre and the state government has initiated steps to implement them as well.